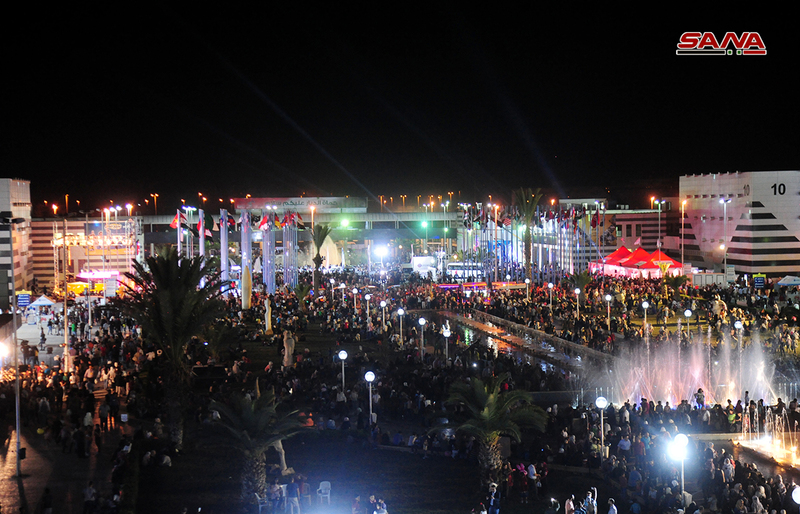 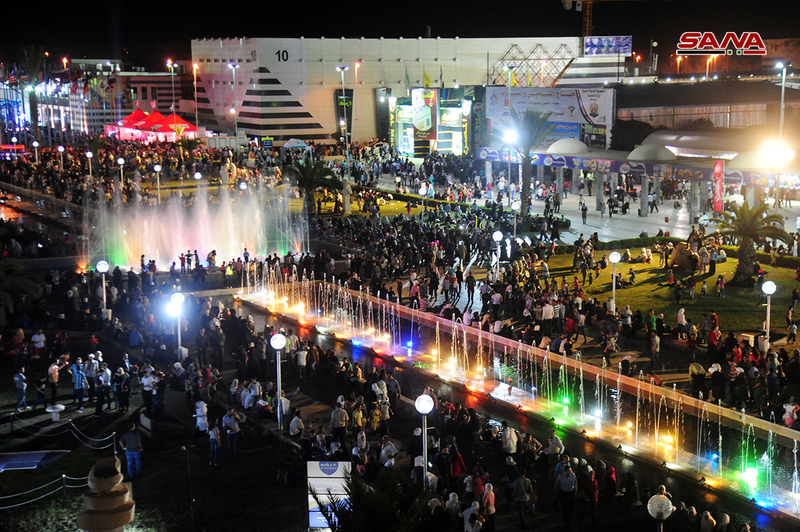 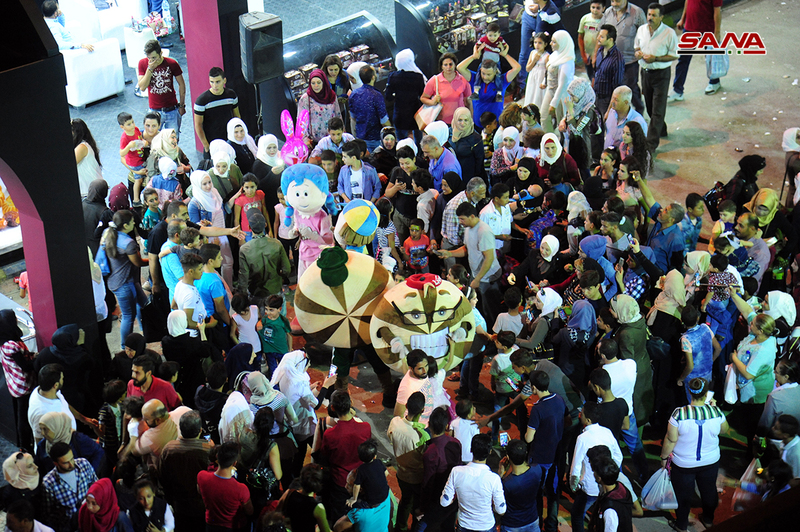 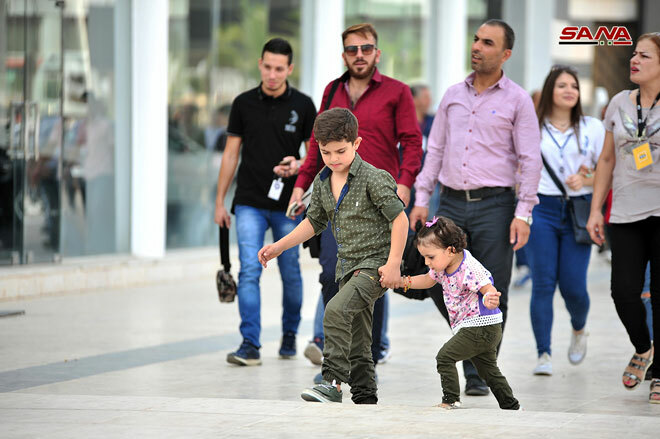 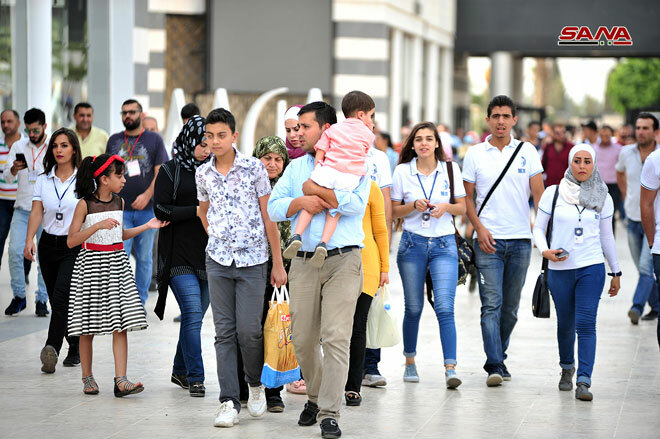 Damascus, SANA- Some 326,000 visitors headed to Damascus International Fair on its 8th day. 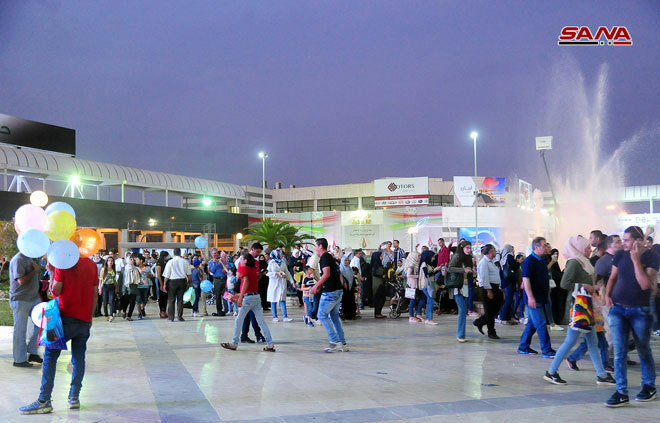 The number of visitors is increasing every day in a message that will be spread around the world by the diplomats, economists, intellectuals and media and journalists who visited the fair. 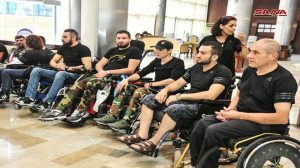 A number of injured army personnel paid a visit to Damascus International Fair, touring several pavilions, accompanying by Tourism Minister Bishr Yazigi, Minister of Social Affairs and Labor Rima Qadiri. 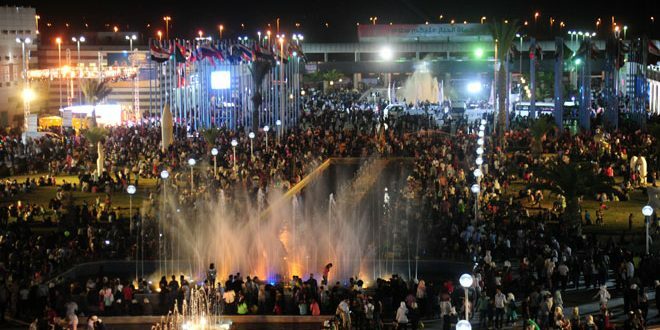 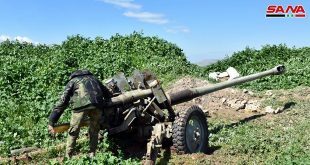 The sacrifices and heroism of the martyred and the injured in the Syrian Arab Army were the decisive factor in holding the fair after eradication of terrorism.